Ever since Google announced the Nexus 10 tablet and its impressive specs, I have anxiously awaited the arrival of my pre-ordered unit. In fact, I had my browser set to a 3 second refresh rate to ensure that I was able to get my order in as soon as it became available on the U.S. store… obsess much? It has finally arrived and now it’s time to see if it lives up to the high expectations. 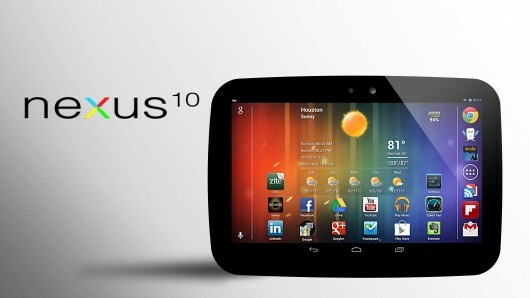 In the following videos, I provide a full and comprehensive review the new Google Nexus 10 tablet by Samsung. Part 1: Includes a breakdown of the specs, physical tour of the device and a demonstration of how everything from movies, music, books, magazines, web surfing, apps and reading comic books look on the gorgeous 2560 x 1600 (300 ppi) HD high-resolution screen. Part 2: Covers gaming on the tablet, Google Now, Google Earth, note taking and other features I accidentally left out of the first video, or that addressed questions that viewers had after watching the first video. Part 3: I show off the high resolution screen using a true 2560 video. Keep in mind that the video does NOT do the screen resolution justice, as my camera is trying to adjust for lighting, as well as a slight light reflection off the screen. I figured a video review would be much more effective in demonstrating and showcasing just how great the Nexus 10 is, over a written one. I hope that you enjoy the videos and please feel free to post any questions that you may have in the comment section! Next articlePodcast 412: Stimulated Boredom Moves to DC!